Are you looking for the most profitable business ideas to start your own business in Bangladesh? 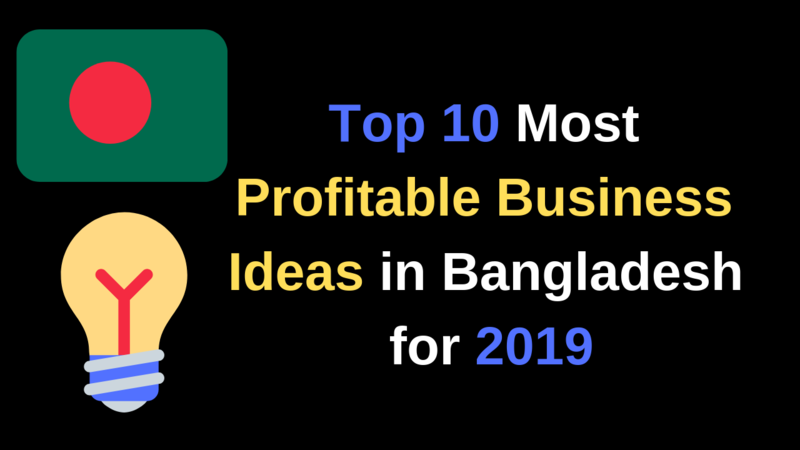 In this article, I’m going to write about top 10 business ideas in Bangladesh for 2019. In the previous year, I wrote about 50 Small Business Ideas Bangladesh Based. Before thinking about any business you should find out the reasons why you start that particular business. Here I just found the top 10 reasons to start your Own Business in Bangladesh. Starting a business in Bangladesh is not an easy mission. There are many challenges you may find while you willing to start a business. Here are 5 Biggest Challenges to Start a Business in Bangladesh. What does it Cost to Start a Business in Bangladesh? The Ultimate Beginner’s Guide! Start a Business in Bangladesh. Not let’s move on the ideas. Custom Design T-Shirt Business. Starting a custom design t-shirt business is one of the best profitable business that you can start as a part-time. Start a small-scale sock making business. If you like the garment sector then start a garment wholesaling business. Multi-Plug manufacturing business is a small-scale manufacturing business ideas to start a profitable business in Bangladesh. If you want to start a business in the food industry you can start Coffee Shop Business in Bangladesh.